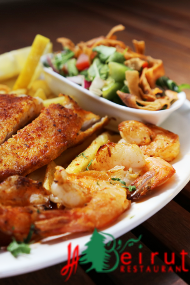 Enjoy additional European cuisines such as Austrian, Armenian, Dutch, English, German, Hungarian, Irish, Portuguese, Belgian, Russian and Swiss at a restaurant near Parramatta. Individual pages are available for selected European cuisines. Nineteen European cuisine restaurants are listed in Parramatta.